…that daily leads you to Jesus. You have been officially challenged to Enter The Story of scripture for a whole year! This Story has one Main Character and it's main theme is the love of God revealed in Jesus & Him crucified for your salvation. Hear directly from this God everyday by reading, meditating & journaling through the scriptures. If you are new to a relationship with Jesus through daily reading, meditating and journaling through Scripture, then you are going to love this plan! Read the New Testament as the continuation of the Story in the Old Testament and the fulfillment of all it's promises in Jesus Christ! 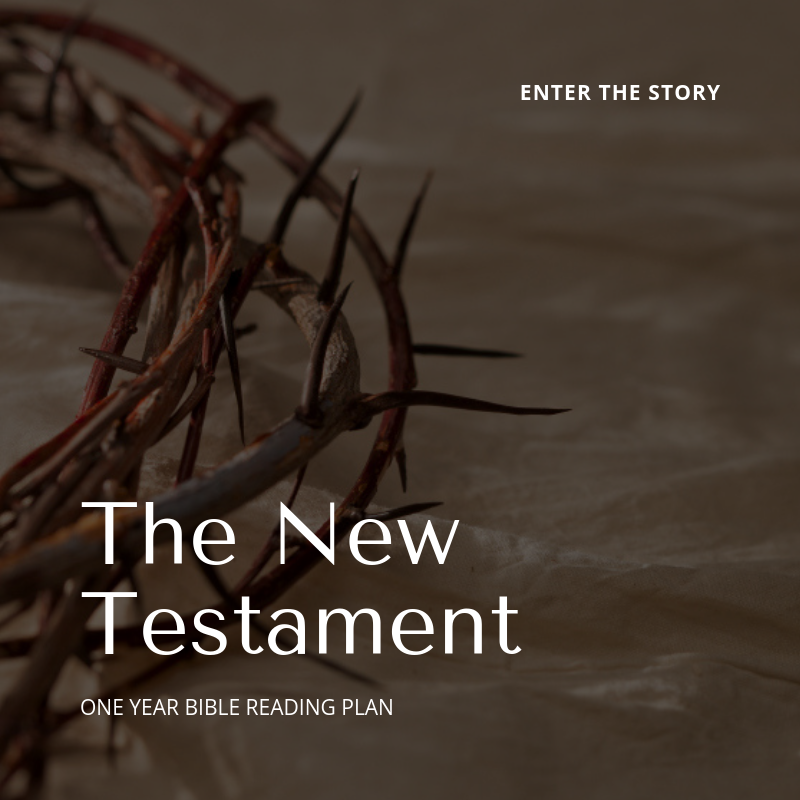 If you are fairly familiar with scripture or have completed the New Testament reading plan and are ready to take your relationship with Jesus to the next level, then read both Old & New Testament portions of the daily bible reading plan. If you are pretty familiar with the bible or have read the The Old & New Testament plan, then try reading chronologically as the story unfolds in The Chronological Story plan! Then get even deeper insights into the scriptures you're reading with the gospel saturated, inspired commentary from the selected Conflict of the Ages reading. If you are pretty familiar with the bible or have read the entire bible through, and you are ready to get even deeper insights into the scriptures you're reading each day, then read both Old & New Testament scriptures for the day along with the gospel saturated, inspired commentary from the selected Conflict of the Ages reading.